Getting a new roof is a big commitment. Whether you’re replacing a damaged roof or simply upgrading to something better, the last thing you want is to get caught unawares. So, here’s what you need to know when getting your roof replaced in Auckland. Do You Understand Your Contractor? Make sure you do some research into the roofing company you’ve chosen. Makes sure they have a good reputation for high standard of work and give you all the information you need. Here at Aspect Roofing, we provide a free quoting service which can include colour samples and profile information at your request. From there, if you would like to proceed with our quote, we ask that you fill out an ‘Acceptance of Quote’ form in full before we can proceed, this includes colour and profile confirmation. We then send an invoice for 50% of the total which secures your job in our schedule and also covers the cost of the materials for your roof. Another important factor is lead times on jobs. How long a company will take to actually get started on a job will depend on their size and workload. We usually start between three and five weeks after receiving your deposit, which means you have at least a few weeks to prepare your property for the work, organise alternative accommodation (if needed) and so on. Have You Talked to Your Local Council? While many roof replacement jobs won’t need official council approval and consent, it is considered best practice to inform the council of your plans. This means your council will have a chance to let you know of any problems with your plan, and in cases where structural changes are necessary, the council will need to give consent. Even if you have current home insurance, this may not cover claims relating to renovations. Talk to your insurance company well before any works begin to find out whether you will need to purchase extra cover. Failure to do so may lead to your insurance being voided, so this is an essential step. Will You Need to Contract a Builder? Some roof replacement jobs will require you to have a qualified builder on site in addition to roofing professionals. Make sure you find out whether this is the case in advance, so you don’t blow your budget! Are You Changing Roof Types? If you are looking to change roof types from long run metal to tiles, there are a number of things to consider. First of all, it is worth contacting your local council just to make sure any structural changes don’t need consenting. Secondly, you will probably need a builder on-site because such a conversion requires either the removal of purlins or the installation of purlins. If you have aerials or a dish on your roof, these may need to be removed for the roof replacement to proceed. Make sure you find out if your roofing company will replace these or if you’ll need to hire separate contractors to do so. At Aspect Roofing, we will re-fix your aerials but we can’t re-tune them, so you may need to factor in the cost of an electrician to do so. It’s important to enquire about the warranties your roofing company offers, both on workmanship and their roofing products. At Aspect Roofing, we offer a five-year warranty on the work itself and we only use products that come with their own warranties. It’s important to note that some product warranties can be voided in certain situations. We are able to let you know of any situation like that before starting the project. 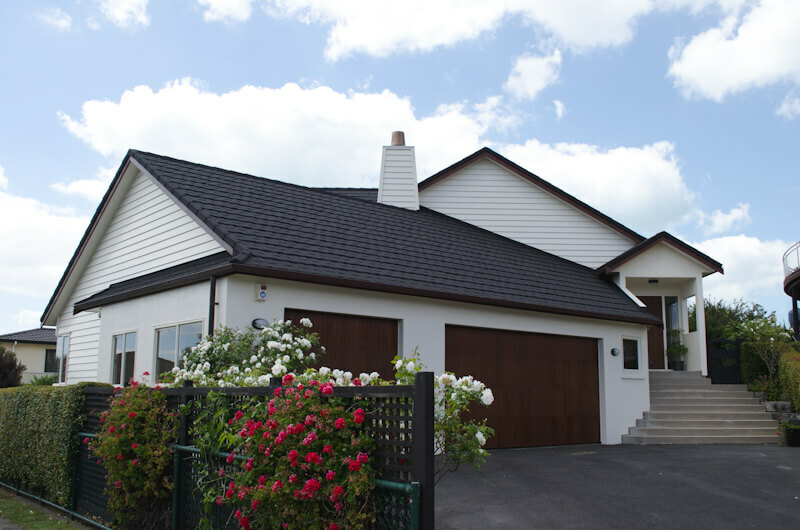 Aspect Roofing is Auckland’s roof replacement specialist. We supply and install durable, designer and low maintenance metal roofing products to replace your roof. Contact us today to discuss your new roof.